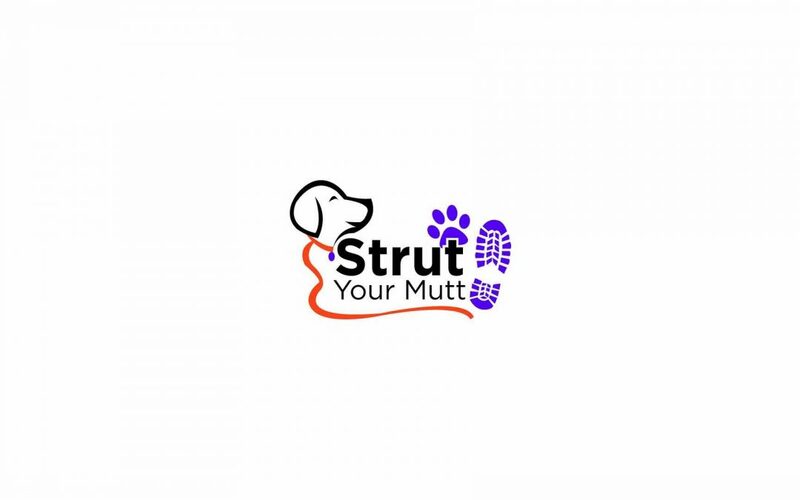 Strut Your Mutt 2019 | Baark! Price: Pre-registration is available January 21st to January 26th 2019. $20 for adults and $10 for Kids (under 16). Registration on the day is $25 for adults and $15 for children (under 16). 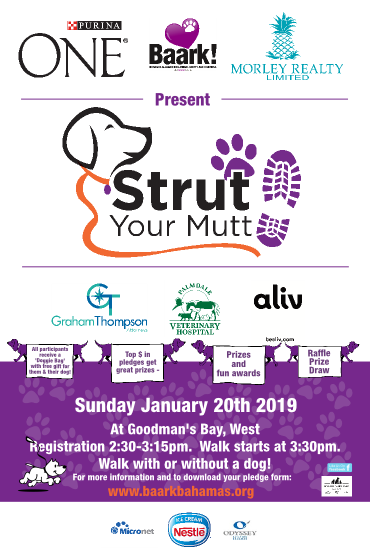 Strut your mutt is back for 2019! SYM is the most fun you can have whilst helping end the suffering of stray and roaming dogs and cats in the Bahamas. 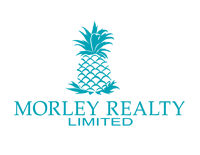 Tail wags and enthusiastic licks go out to Purina One and Morley Realty, our Top Dog sponsors, our Big Dog sponsors Alive, Palmdale Vet and Graham Thompson and our Best Friend sponsors, Nestle, Micronet and Odyssey. 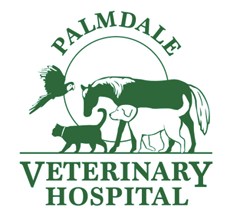 The event works like a walkathon, fun for both two-legged and four-legged participants. You collect sponsors and the people who collect the highest amount wins fantastic prizes. There will also be a raffle, with more great prizes to win. Pre-registration is available until January 16th $20 for adults and $10 for children (under 16). Registration on the day is $25 for adults and $15 for children (under 16). Registration on the day is $25 for adults and $15 for children (under 16). The walk is approximately 1.2 miles or 2 kilometers along the Bahamar Rd.